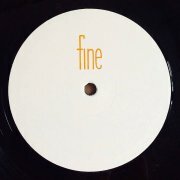 Berlin label Fine served us the Beyond My Soul-EP by label boss Tilman the other day and it is, to stick with it, a delicious menu from start to finish, as Tilman pulled four flawless tracks out of his hat, a swinging blend of smooth House, epic strings and summery vibes in best Fine-tradition. Yet there’s a little more about it than just a peaceful easy feeling, from the first beats of You Can’t Hide The Rumours on you can feel some first-class tightness and verve that make the beats more driving and the soulful harmonies extra touching. Talking About Today and A Moment of Clarity are exceptionally strong tracks, finest Uptempo House with a punch, riding on superb bass lines and uplifting vocal samples that definitely will make the crowds move. The last track, Look At You Around Midnight, then is a little (but just a little) more opulent, indulging in its rich orchestration (notably the jubilating violins) full of deepness and larger-than-life-attitude. We already knew that the Fine-guys know how to do it but even for them this EP is an outstanding one. Great work by Tilman, have a drink on it.